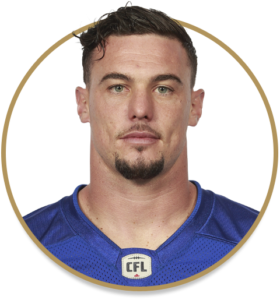 Bennett re-joined the Bombers on May 24, 2018 after spending part of 2015 and the 2016 season on the club’s practice roster after a stint with the Indianapolis Colts. Bennett dressed for all 18 and two postseason games in 2018 as the club’s third-string quarterback, but was also part of the team’s special-teams units where he chipped in with seven tackles. Bennett completed four of eight passes for 72 yards and rushed twice for 34 yards in his snaps from centre.